Since the Winnipeg Jets moved from Atlanta the NHL has been rife with talk about how it would have to re-structure. Teams like the Blue Jackets and the Red Wings have been complaining for years about the amount of travel they have to do because of their conference placement. Yesterday new broke and we finally got details of the NHL’s realignment. The four conferences haven’t been named yet but this is how they have been broken down. 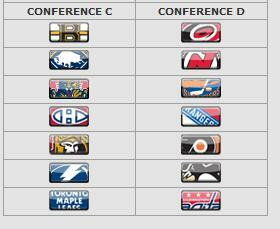 The top four teams in each conference will all go to the playoffs. 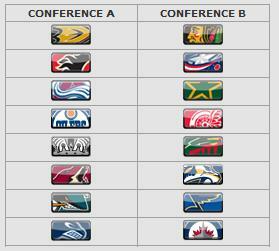 In addition to that the first two rounds of the playoffs will be within the same conference. So check what teams are in our favorite team’s conference; you’re going to be seeing them a lot next season. It is also planned to have each team play every team in the league once at home and once away. This is huge for transplanted fans who might not get to see their favorite team every year. While there are good things about the realignment, it isn’t perfect. Tampa and Florida look pretty out of place in their division. In fact I’d say they get pretty screwed by it. The new division may also hurt some long standing rivalries. The other thing to consider here is I highly doubt there will be a Phoenix Coyotes for very much longer. What happens if they end up somewhere far away from the West Coast? How do you feel about the changes? How is it going to affect your favorite team?